Everything from fruit… to a nutty pecan log! 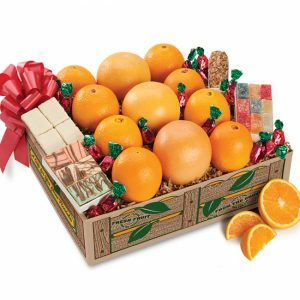 Includes our premium grove fresh Navel Oranges, Ruby Red Grapefruit, creamy chocolate squares, delightful chocolate-covered Coconut Patties, a nougat-filled pecan log, and citrus juice candies. Accented with hard fruit candies. Plenty for friends and family to sample and share. 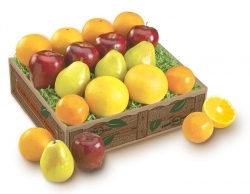 Get two shipments of the juiciest fruit to last the whole season! Need more Honeybells? 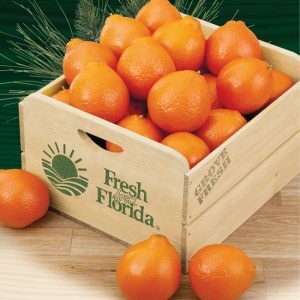 With?First and Last Honeybells, you’ll get a gift of Honeybells at the beginning of the season and then a second shipment at the end of the Honeybell season. Have a Honeybell every day while they last! Please, all shipments to the same address. Separate shipping charges on each gift box. Three 8 oz. 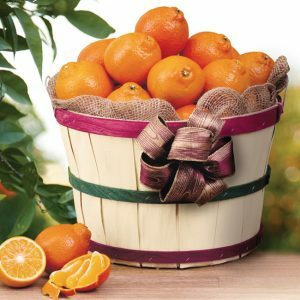 jars of citrus flavors made from sun-ripened, in-season fruit chosen at its peak for freshness. Our recipes include fresh-squeezed juice and zesty peel. 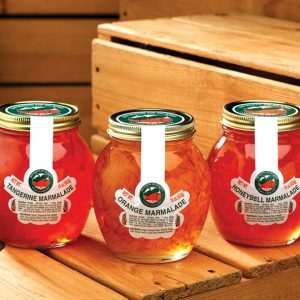 This assortment includes Tangerine, Orange and Honeybell Marmalade. 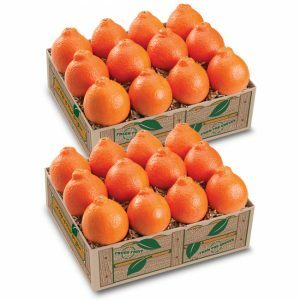 Four boxes of beautiful, fresh fruit – juicy Navel Oranges, crisp Red Delicious Apples, orchard-ripe d’Anjou Pears and easy-to-peel Tangerines. A gift that’s sure to please with lots to share! Make your Grand Slam gift extra special with the addition of our Deluxe gifts: tow jars of genuine Florida Marmalade, and six creamy, chocolate Coconut Patties. 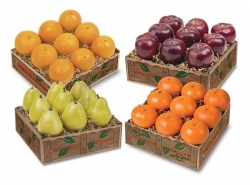 Five varieties of beautiful, fresh fruit including two Ruby Red Grapefruit, two Tangerines, four Navel Oranges, four Red Delicious Apples and three orchard-ripe d’Anjou Pears. An attractive holiday surprise for friends and family. They’ll love it! 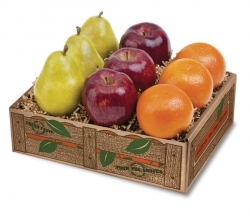 A genuine wooden field crate overflowing with delicious Honeybells or Honeybells and Grapefruit. 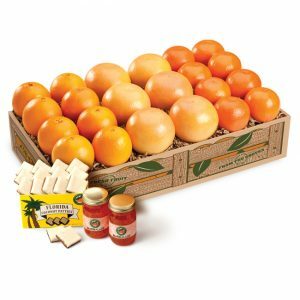 Send friends and family this fun, country grove basket filled with the sweetest, juiciest premium-sized Honeybells.